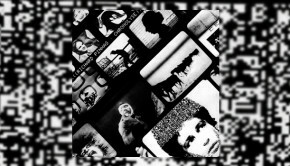 The currently prolific Richard Pinhas, French electronic music pioneer and otherworldly guitar wrangler famed for his exploratory ambient/rock band Heldon returns with a double release on the esteemed Cuneiform label. 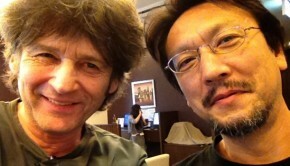 Whereas Welcome In The Void, created in partnership with drummer extraordinaire Yoshida Tatsuya was described by Pinhas as the second part of his Devolution Trilogy that began with last year’s Desolation Row, Tikkun is the other side of the coin as well as the other part of this duo release. Almost as if in answer to the bleak documentation of humankind’s devolution into mere slaves of neo-liberal backed soul-destroying technology as soundtracked on Desolation… and Welcome…, Tikkun offers rays of hope, “dealing with repairing the world”. A man with a fierce intelligence that stretches right back to receiving a Baccalaureate degree in guitar at 17, and a possessor of an admirable alternative mindset, an early manifestation of which led to manning the barricades in the Paris student protests of 1968, Pinhas went on to achieve a PhD in Philosophy from the Sorbonne, where he subsequently taught the subject. His lifelong concern with environmental matters both Earthbound and of the soul shine through with the passion he injects into his determinedly independent music. For Tikkun Richard’s partner in noise is Oren Ambarchi, who also appeared on Desolation Row and is probably best known to our Western ears as part of that wilful American experimental industrial combo Sun O))). 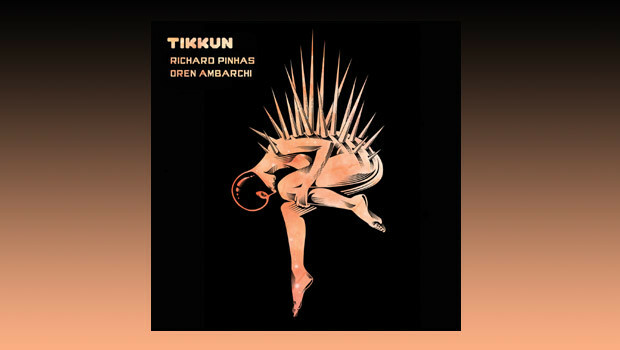 The word “Tikkun”, used as the title of a single track on Pinhas’ Metatron release and now expanded to the titular album is taken from Jewish mystical writings, and as Richard explains it “the concept of TIKKUN is IMMENSE, Very very Big and Important, not only in the original Kabbalah but in all the paragnosis ‘jewish’ theoretical concepts. It is about the spiritual creation of our world… a kind of parable… TO REPAIR something deeply Broken is the POINT …and TIKKUN is the concept that this operation or this PROCESS can be named.” So there you have it! The duo share a Jewish heritage. Ambarchi was born to Iraqi-Jewish parents in Australia no less, Pinhas perhaps more conventionally to Turkish and German Jewish parents in France. In 2013 they met up in Paris to record these sessions and play some live shows, drawing inspiration from their shared roots for this record and the live performances. So how does such a heavyweight concept translate into seventy minutes-worth of instrumental music? We commence by surfing a monstrous endless wave that originated from a rumbling deep within the perpetrators’ collective consciousness. The half-hour long Washington D.C. – T4V1 surges out of the speakers fully formed, and sweeps the listener near instantaneously into a tumultuous universe where the measurement of time is no longer linear. Sequencer loops reminiscent of Heldon in their 70s pomp underpin the twin guitar excursions of our two main protagonists, put through all manner of treatments. This visceral combination is a heady assault on the senses, and the third member of the “First Circle” of musicians, drummer Joe Talia, is for now largely inaudible on his main instrument, so one assumes he is contributing more “FX” to proceedings. Shards of fulsome effects-heavy guitar and analogue synth squiggles surge back and forth, and interweave with an industrial soundscape that will slowly but surely unravel your synapses if played at suitably and excessively loud volume. The supporting, or “Second Circle” of musicians, who include Richard’s son Duncan contribute yet more “FX”, so it is nigh on impossible to determine who does what unless you watch the accompanying DVD, and even then it’s not that easy to pinpoint. Alas, I cannot even delve that deep, for the review download is limited to the music on the CD, but as you will find there are a few YouTube videos, not of the DVD performance admittedly, but enough to give you the general idea. From around the ten minute mark Joe returns to the drum stool to manfully stamp out a beat, often playing in counter to the thrumming sequencer. One gets the impression that this mutha was unfeasibly loud in the live environment, so that’s the only way to play it at home. Wear headphones, or wait until the neighbours have gone out! This is what early 70s Ash Ra Tempel may have sounded like had they formed in 2010, and Manuel had asked Hendrix to sit in on a day long jam with the instruction to imagine that the cigarette butts were still being thrown out the window. Another way of putting it would be to envisage Robert Fripp and Brian Eno jamming during a prolonged spell on bad acid. Eventually this massive wave breaks and calm slowly descends to gently bring the exhausted but exhilarated listener back down to Earth. Marvellous stuff! And so we move from the scorched-clean vista of Washington D.C. to Tokyo. At a mere thirteen minutes, Tokyo – T4V2 is the baby of the album, but it stands its ground in menacing fashion. This time a slow drum figure introduces a relatively understated swirling maelstrom of guitars and synthetics. It did occur to me given Pinhas’ well-known concern for the environment if there would be a pointer on this track, musical or otherwise, to the catastrophe at Fukushima, and it would seem to be conveyed in the haunting nightmarish impression the of the music, as the percussion reverberates and echoes through a deserted corner of the mind, an evil cackling and crackling never far from the surface. The inherent evil is then partly subsumed by waves of densely layered and looped ethereal ambience, with the percussion clattering in the background, as a metaphor for Nature eventually taking care of business long after we are gone; at least, that’s how I read it. There are fault lines running through this album; Washington being the political kind, and San Francisco, like Tokyo, representing the geographical. We enter the Californian city in a helicopter to find an abstract mood in evidence, the landscape slowly waking. As the sound rises it is apparent that something black has been disturbed, the sound of a billion rats scratching around in the sewers. The abstraction continues as an alien conversation takes form, looped guitar effects swirling around as the drums vainly attempt to instil some kind of order. San Francisco – T2V2 is proving to be hard to pin down, which may very well be the point. 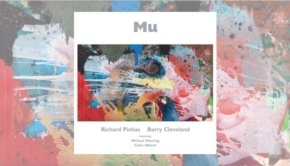 Richard Pinhas is a man with an uncompromising artistic vision, a rare thing these days, and he will not pander in any way to the demands of commercialism, and more power to him for that. 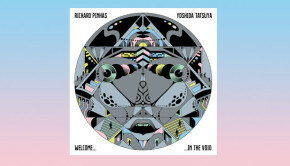 There are sections of this album that transport me to another place, and parts of it, particularly within San Francisco – T2V2 that I find hard to access, but I’ve no doubt that Richard would see that as my loss. If you’re a fan of Pinhas’ work you will know what to expect, if not and you’re still reading, then I hope I have piqued your curiosity.